The creep factor is off the charts in M. Night Shyamalan’s latest, Split, starring James McAvoy as 24 different characters. 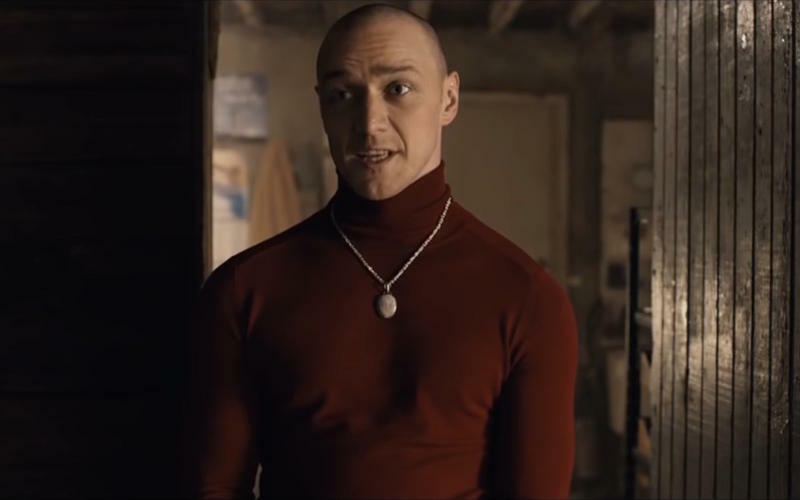 McAvoy appears to play someone with a dissociative identity disorder, where 23 identities live inside of his body, including a 9-year-old named Hedwig. Now, I’m not sure if we’re supposed to take that literally or if McAvoy’s character, Kevin, really does have a mental disorder. There are suggestions of a supernatural element, so we’re not counting out the big twist being the identities living inside Kevin were consumed by “The Beast,” which is alluded to at the end of the trailer. Split hits theaters on Jan. 20, 2017.